The next time that you have a service or repair done on your HVAC unit, or have a new unit installed, consider adding one or more of these great items! We offer these specialized products below to help make your life easier! Most of these we can do on the spot during your service, or call us and we can do same day is most cases. Please click on the picture to be taken to our contact page or click the “Chat with Us” box in the lower corner, so that we may help you. Water through the ceiling is the one of the MOST COMMON problems we see. If you have any components in your attic, you need a switch that shuts your system off to prevent damage when excess water is detected. 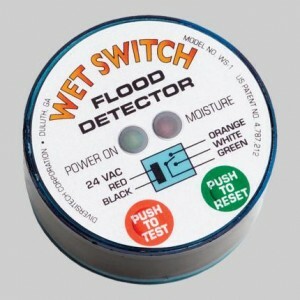 Add one Wet Switch® per system in your house. Carbon monoxide gas is colorless, tasteless, odorless, and highly toxic! If you have gas systems, you need to monitor gas levels in your home. 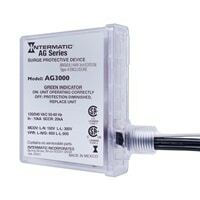 This easy and convenient detector plugs into a regular wall outlet (no mounting on the wall), and has an easy-to-read digital display. 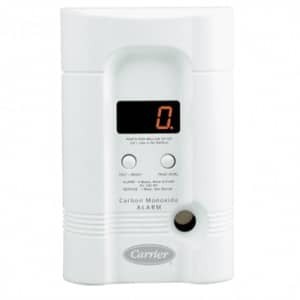 When dangerous levels of CO are present, a loud, audible alarm alerts you automatically. You probably have a surge protector on your home computer or big screen TV-but what about your more valuable HVAC equipment? Power surges are the silent killer for the home appliances and HVAC equipment. 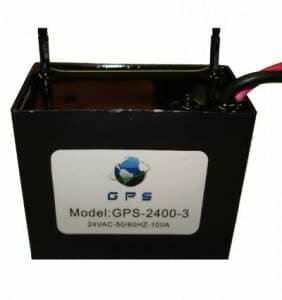 Most factory-installed hot surface igniters for gas systems are very fragile. Replacing a broken one is a very common repair during cold weather. If you replace it once, you might want to upgrade to a far more durable version, less prone to breakage. This is a system that we love here at Conditioned Air Solutions. This is a Wi-Fi Thermostat with remote sensors. It also has built in Amazon Alexa Voice Service. Most places have the HVAC controls in a hallway or in one room of the house. This keeps most rooms at different temperatures. The Ecobee is Energy Star Certified and fixes this. There are remote sensors that you place in different rooms to help maintain the temperature in your home or office. Having the temperature regulated throughout your space can save you money on your utility bill. You can even adjust the temperature from your phone. 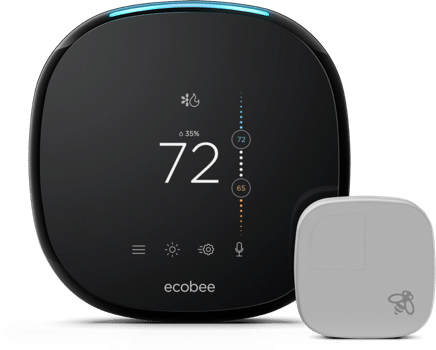 Learn more about the Ecobee here. Cold plasma is a great solution for removing pet odors or strong cooking smells. We’ve seen amazing results with this product. It works by producing cold plasma and circulating it through the home. 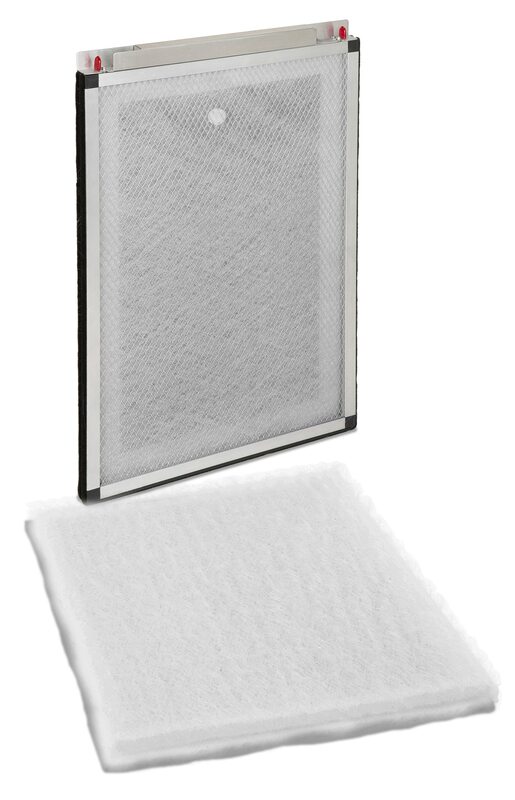 This product installs inside the air handler, and is virtually maintenance free. You’ve seen UV lights in the hospital setting. Ultraviolet light inhibits bacteria and mold growth, plus kills germs on your indoor coil. Highly recommended if organic growth in your system is a serious concern. 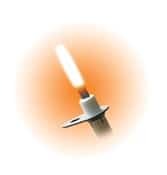 We offer several bulb configurations that your technician will customize based on the size and type of system you have. We install both Carrier and Honeywell brands. Note: bulb must be replaced about every 18 months. This product works in your home’s ductwork to remove airborne particles such as pollen and dust, as well as odors from food and pets. The ultraviolet light addresses the surface mold on your air conditioning coils. Extreme humidity can foster organic growth in or around your HVAC and cause ductwork to sweat. We typically see two situations that would benefit from the dehumidifier: in crawl spaces under houses and whole-house applications. 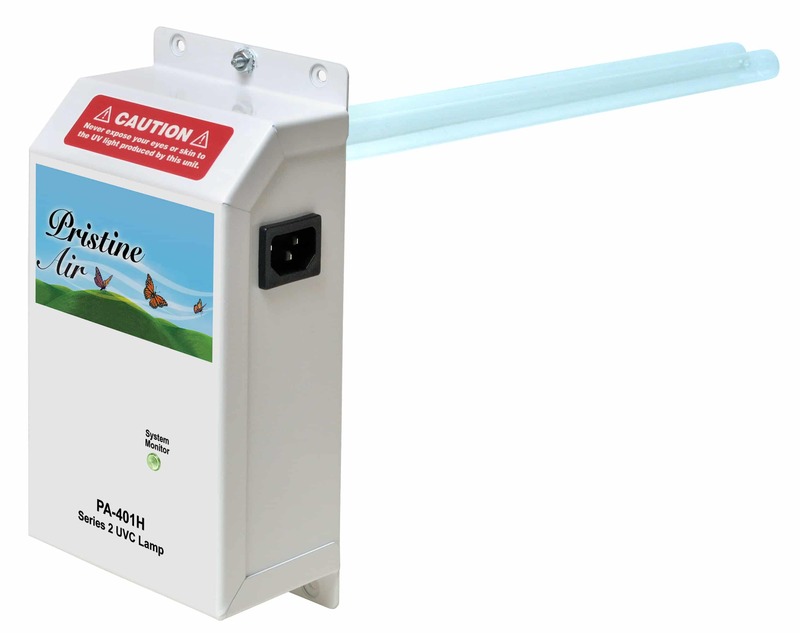 We recommend Aprilaire products for dehumidification. Optimal installation will require a detailed home assessment from our Comfort Consultant. Maintaining a constant 50% or more humidity in your home during heating season will provide several health benefits, plus help preserve delicate wood furnishings in your home. The Aprilaire humidifier is a self contained device that manufactures and injects steam into your duct system while preventing water build-up in the duct. Optimal installation will require a detailed home assessment from our Comfort Consultant. YOU can see the problem before it happens! 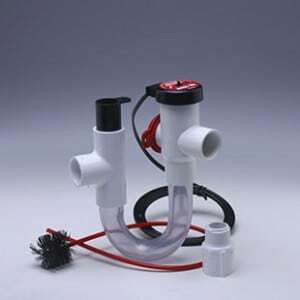 The clear u-bend allows you to see the blockage and the access ports making it easy to clean it out. A handy addition to most package units with a p-trap. 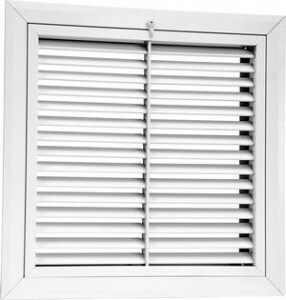 Replace your old, rusted, beat up vent registers with a new set. We make it easy and fast! For your system to operate at peak performance, it needs to circulate air efficiently. 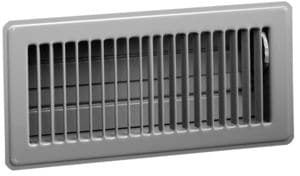 The return air grill can seriously cripple the amount of air the system can pull. In certain situations, an upgrade to a sharp looking, aerodynamic grill can be the best solution. This is a commercial grade, sturdy grill that will look great for years. The Reme Halo in-duct air purifier is an indoor air quality solution that uses ionized hydrogen peroxide molecules to clean the air in your home. 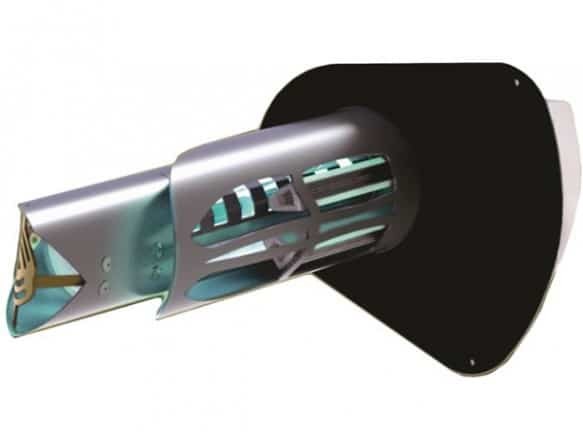 Installed in the ductwork, the Reme Halo works with your existing HVAC system to reduce viruses, bacteria, mold spores, and other contaminants, including unpleasant odors. Plus, the ionized molecules pass their charge on to dust, dander, and pollen in the air, causing those particles to stick together in large clumps, which are easier for your return filter to catch. For cleaner, fresher air throughout your home, try the Reme Halo! Indoor air pollution comes in multiple forms, all of which can be hazardous to your health. The PristineAir Polarized-Media Electronic Air Cleaner is designed to remove tiny, sub-micron particles and allergens from your home’s air. It also helps to control odors and gases. There are three main types of indoor air pollution—particles and allergens, germs and infectious agents, and gases and odors. All of these can be hazardous to your health. 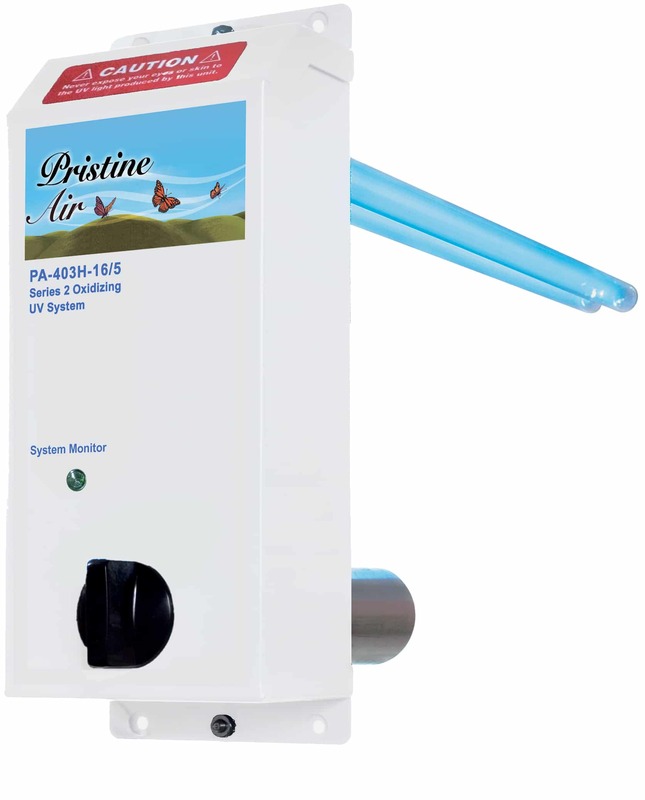 PristineAir’s Germicidal UVC Lamp is designed to destroy the living germs and infectious agents in your home’s air. When it comes to indoor air pollution, there are three major types of contaminants: particles and allergens, germs and other microorganisms, and chemical gases and odors. The PristineAir Oxidizing UVC/UVV System uses the power of sunlight to reduce both the second and third kind, by killing the microorganisms and oxidizing the gases and odors. 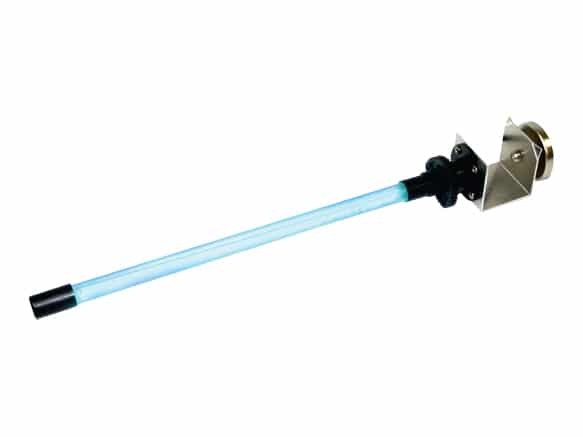 Keeping your HVAC coils clean from mold and mildew growth is easy with RGF’s patented, high quality BLU QR® UV Stick Light! BLU QR® features our exclusive quick-release lamp, which requires no tools for the lamp replacement. It comes standard with four easy-to-install mounting options right in the box, including the magnetic mount, through panel mount, bracket mount and direct mount. RGF’s BLU QR® is undoubtedly the premier UV stick light technology and is far superior to anything offered in the industry today.